A detailed review of the component architecture of MAS, in relation to KDE's architecture, current usage, known needs, and design targets. A proposal for step-by-step integration of MAS into KDE, and the KDE development process. Considering MAS as a common standard, platform-independent network infrastructure for media of all data types. 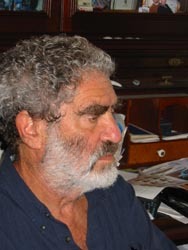 Leon Shiman holds an PhD from MIT and is President at Shiman Associates Inc, who are software architects and specialists in network windows and media for Unix and Linux (http://www.shiman.com). He is architect for the MAS Media Application Server (http://www.MediaApplicationServer.net), Founding Member of X.Org, XOrg Foundation, and on the Board of Directors, advisor at the Open Source Stds and IT policy to State of Massachusetts. He is ANSI ASC/X12F2 Co-Chair EDI for energy industry and member of the Board of Directors of Utility Industry Group. Worked as Director of Computing in MIT's Whitehead Institute for Biomedical Research.